We wanted customers to have the opportunity to enjoy our cakes as a regular treat throughout the year, rather than just for special occasions. So many have told us since we launched our Cake Club how they really look forward to that familiar parcel arriving every month, knowing there is another tasty treat in store for them. Many are purchased as gifts for those ‘difficult to buy for types’ who don’t want more ‘stuff’, but who love to enjoy something wholesome and delicious now and again. We even have members who invite friends and neighbours around on ‘Cake Club Day’ to share and judge the cakes! 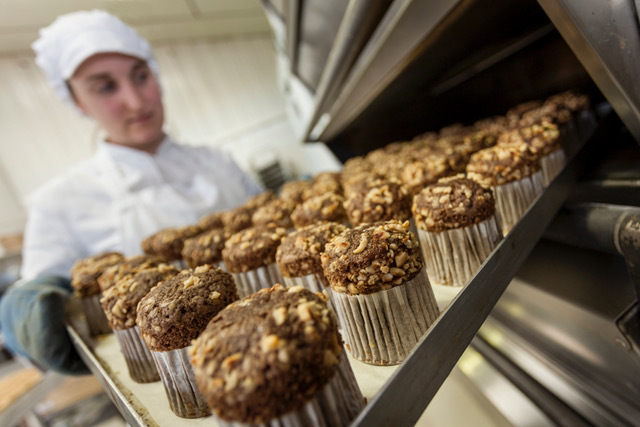 It takes three people to bake, wrap and pack the cakes and another three to box, label and despatch them with our courier. We don't currently subscribe to any ourselves. Gareth Southgate - he seems such a decent bloke and made us all feel happy to be an England supporter for a change. A nice cake might cheer him up the way he cheered us up. A teapot, a cup & saucer, a cake stand and a plate... and perhaps someone to slice it up for you! It’s an exciting opportunity to tell more people about Meg Rivers Artisan Bakery. Have your cake and eat it too with a delicious monthly delivery of Meg Rivers Bakery Cake Club subscription box. Savour and indulge in a scrumptious, beautifully decorated cake every month. Share the sweetness with friends and family today!